Being successful was your dream and your goal. It is something you have worked really hard at for a long time, and you deserve all the accolades you can get. You may feel that you know how to measure success at work because you are kicking goals in so many areas. You have been educated to work hard and to get ahead in your career. To be the best you’ve got to be good at what you do. This is what you’ve been working towards your whole career, paving the path to the top, bit-by-bit. Excelling at your job is essential for becoming the type of manager your organization would consider for future promotions. It’s understandable that you have been caught up in your achievements, and enjoying all that success entails. You have probably received awards, bonuses and those regular pats on the back that we all cherish. Receiving confirmation that you are doing your job well is something all managers crave, but there is one thing you need to remember. It can be tricky knowing how to measure success at work, but it is not impossible. Getting the encouragement you need is only a confirmation that you are doing your job well. 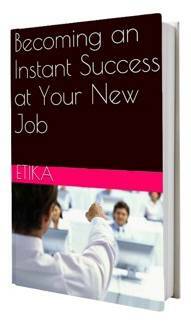 It is not an indication that you are ready for promotion and ready to take on a senior position. However, with great success comes complacencies and these can lead to many successful managers not listening to constructive feedback. So, what does it matter, I hear you ask? 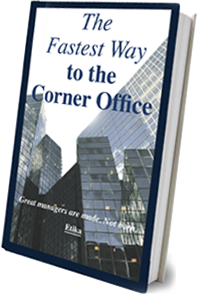 Well, becoming complacent is a good way to ensure you never get promoted. I know it sounds crazy, but let me explain. 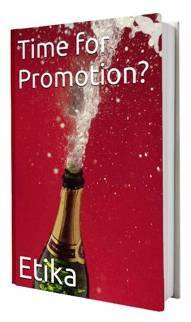 A huge number of successful managers don’t achieve their goals of promotion despite of how successful they are. In fact, you’ll be surprised to learn that 72% of managers just like you are not promoted because they are so successful. It is worthy making some time to reflect on your skills and talents. These have got you to the great position you are in now, but are they enough to ensure that you get that promotion you have always wanted? Once you have made a list, look at it and consider are they good enough for a senior position? Now, this is the time you’ll need to be honest with yourself and speak to someone in your company you trust. If they offer constructive feedback, take it and work with it. Don’t become defensive or shrug it off. So many managers do this, and it is costing them a promotion. When asking for constructive feedback don’t react in a personal way. Do you think those in the company above you did that? It’s highly unlikely. Successful senior managers are the type of people who are somewhat thick-skinned and don’t take criticisms personally. Instead, they listen carefully and attentively to each and everything which is relayed to them. Then they do one important thing: they act and change. Do you need to put in more hours? Do you need to ensure some members of your team are working at their best? Are the times you dropped the ball and the project stalled or worse, halted in its progress? More importantly, what could you done differently and what would you do again in the future? Now that you have made some notes about where you need to make improvements you need to use that feedback to make sure you are promotion material. You need to change how you do your job and ensure that your senior managers observe those changes. In truth, you are going to have to change your mindset and start asking yourself some important questions. Sure, I received a bonus for xyz job, but what would my senior manager done better? I know all the ins and outs of the database, but do I understand how it fits in with the overall software system? My team is one of the most productive in the company, am I supporting them in all the ways I can? Do any of these sound familiar? If so, it’s not the end of the world or your career for that matter. What’s important is that from now on, you work on using constructive feedback to ensure that your career excels further than it already has and that you can achieve the promotion you deserve.